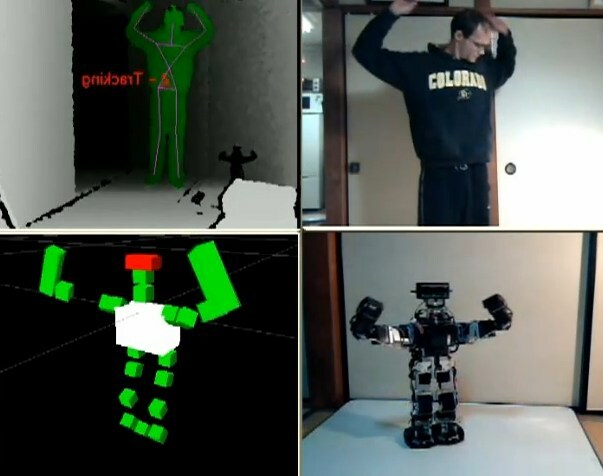 Humanoid Robot Brought To Life With Kinect! Engineer Taylor Veltrop created a robot named the Veltrobot and used open source Kinect software to control it. He posted the impressive results online for everyone to see. While it's still crude in its implementation the possible implications are staggering. Fire rescue efforts, bomb removal/defusing and other hazardous situations would all benefit from remotely controlled drones like this. Check the video below to see for yourself.